The Central Government has today notified the Constitution(103rd) Amendment Act in the official gazette. 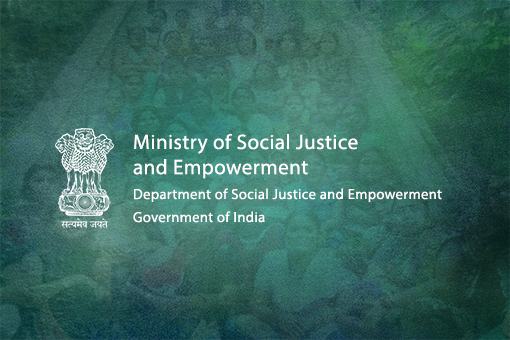 The notification by Ministry of Social Justice and Empowerment says that the amendment will come into force from today. Last Satuday, the President of India Ram Nath Kovind gave his assent to the amendment , which was passed by the Rajya Sabha on Wednesday. The Lok Sabha had passed the bill, the previous day, with 323 out of 326 MPs present voting in its favour. Economic reservation in jobs and education is proposed to be provided by inserting clause (6) in Articles 15 and 16 of the Constitution. The proposed Article 15(6) enables State to make special provisions for advancement of any economically weaker section of citizens, including reservations in educational institutions. It states that such reservation can be made in any educational institution, including private institutions, whether aided or unaided, except minority educational institutions covered under Article 30(1). It further states that the upper limit of reservation will be ten percent, which will be in addition to the existing reservations. As regards job reservations, the proposed Article 16(6) enables State to make provision for reservation in appointments, in addition to the existing reservations, subject to a maximum of ten percent. At present, reservations account for a total of 49.5%, with 15%, 7.5% and 27% quotas for Scheduled Castes, Scheduled Tribes and Other Backward Classes respectively. "Economically weaker sections" for the purposes of Articles 15 and 16 mean such sections as notified by the State from time to time on the basis of family income and other indicators of economic disadvantage. This will be a class distinct from the already specified classes of SCs, STs and socially and educationally backward classes. Within hours of the Parliament passing the amendment, an NGO named "Youth For Equality", filed a petition challenging it before the Supreme Court contending that the amendment violates the "basic structure" of the Constitution. Referring to the nine judges bench decision of the Supreme Court in Indira Sawhney case (1992), the petition states that reservation cannot be given on the basis of economic criteria.